51st Annual Noel Night this Saturday! Continuing a time-honored holiday tradition, Performance Music at The University of Scranton will present its 51st annual Noel Night concert on Saturday, Dec. 1. 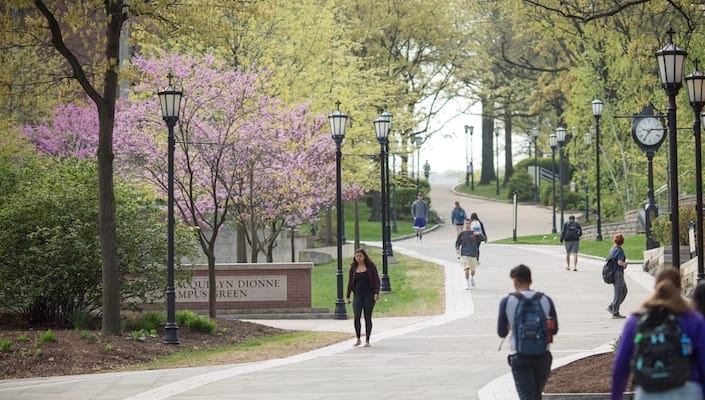 Beginning at 8 p.m. in the University's Houlihan-McLean Center, Mulberry Street and Jefferson Avenue, downtown Scranton, the concert will feature The University of Scranton Singers with guest harpist Marg Davis, trumpeter Mark Gould, and pianist Ron Stabinsky. Doors open at 6:45, and the prelude - which begins at 7 p.m. - will include performances by the String Orchestra and Flute Ensemble. Admission is free, with seating on a first-come, first-seated basis. Noel Night is now more than a half-century into its existence as the University's Christmas gift to the community. "It's always a deeply meaningful musical evening," said Performance Music Conductor and Director Cheryl Y. Boga. The 50+ voice student mixed choir is comprised of members of the university community from majors and departments spanning the curriculum -- the vast majority of them undergraduate students, joined by a few graduate students and members of the faculty and staff -- none of whom are music majors, who are all brought together by their mutual love of music-making. They will be joined by guest accompanists Marg Davis, harp, and Ron Stabinsky, piano; Mark Gould, trumpet; and leaders of the University community offering greetings and readings of the Nativity Martyrology and St. Luke Nativity Narrative. The program will include works by Franz Biebl, Benjamin Britten, Rollo Dilworth, Jester Hairston, Morten Lauridsen, Boris Ord, Stephen Paulus, and Ralph Vaughan Williams. Guest harpist Marg Davis is a graduate of The Juilliard School and Yale University School of Music who has also studied and performed at many high-profile summer music festivals, including the Aspen Music Festival, Norfolk Chamber Music Festival, Bowdoin International Music Festival and Chautauqua Music Festival. She has performed at Scranton before as an accompanist, soloist, and chamber musician. Trumpeter Mark Gould is one of the best known and most influential trumpeters and trumpet teachers of his generation. In addition to his more than three decades of service as principal trumpet with the Metropolitan Opera Orchestra, he is on the faculty at The Juilliard School and The Mannes School, and has taught and offered masterclasses at conservatories across the globe - many of his former students hold positions with the most highly regarded orchestras and ensembles throughout the world. Pianist Ron Stabinsky is among the most sought-after freelance pianists in the Northeast. He performs as a solo, ensemble and collaborative pianist throughout the world in concerts and events spanning a wide variety of genres. His recently released his debut album, "Free for One," which received four stars in DownBeat magazine and tied for the No. 1 debut of the year in the 2016 NPR Music Jazz Critics Poll. 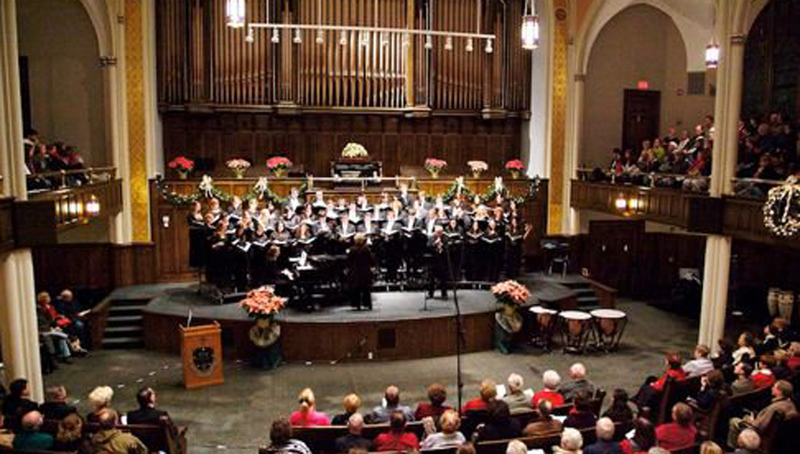 For further information on the Noel Night concert, call 570-941-7624, email music@scranton.edu or visit scranton.edu/music.